Parkinson’s disease is a disease that affects muscles throughout the body. This means even the mouth and tongue can be affected, making it difficult to speak, to swallow, to emote, and more. In addition, in some cases, decreased cognitive function accompanies the muscular symptoms, and can be as severe as dementia. 1. Tremors: The shaking or trembling of hands, arms, and/or legs. 4. Problems with balance or walking. These issues can make it very hard for people with Parkinson’s disease to play games. It is hard to hold a hand of cards when you hands shake. It is hard to sit over a board game for extended periods of time with stiff muscles. Games like charades can be impossible due to slower movements and balance problems. In other words, Parkinson’s disease can get in the way of game playing. Why does this matter? For some it doesn’t. However, game playing is a great way for care givers, family members, friends, etc. 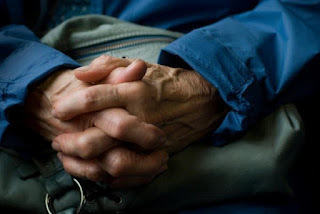 to engage, interact with, and spend time with those with Parkinson’s. Playing games can give a person a sense of accomplishment and self-worth. Game playing can help alleviate problems of negative self-worth, depression, boredom, and isolation, which are commonly associated with progressive diseases like Parkinson’s disease. Parkinson’s disease gets progressively worse, and is frustrating for caregivers and sufferers alike. Game playing can help normalize life, and provide entertainment and fun. 2. No long or extended play games. 4. No games that require regular need for muscle control. Those with Parkinson’s want to be able to play a game without too much help or modification, and do not want to suffer the embarrassment of not being able to hold their cards, or place their pieces, or keep their tiles hidden, etc. Games ought to be carefully selected to meet the specific abilities and disabilities of Parkinson’s disease sufferers. Where can you find such games? The R.O.S. Therapy System might be the answer. It offers moments of contact and enjoyment despite difficulty with declined cognitive abilities and slower motor skills. The R.O.S. Tray is what really makes the system work. It is like any gaming console, where you have your main console, and you insert the game you wish to play. The various activity boards and games can simply be inserted into the tray and played. The pieces are large and easy to hold, and the various activity boards are easy to switch out. 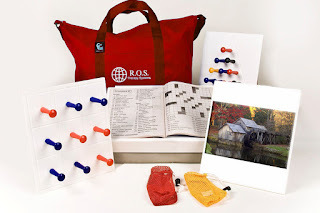 Promotes the use of cognitive abilities. It is easy to clean, and can be played in a bed, chair, at a table, etc. It is designed for those with Parkinson’s and other mental and physical handicaps to allow for creative expression, fun, and to be a source of entertainment as well as self-worth. Learn more about the R.O.S. Therapy System.